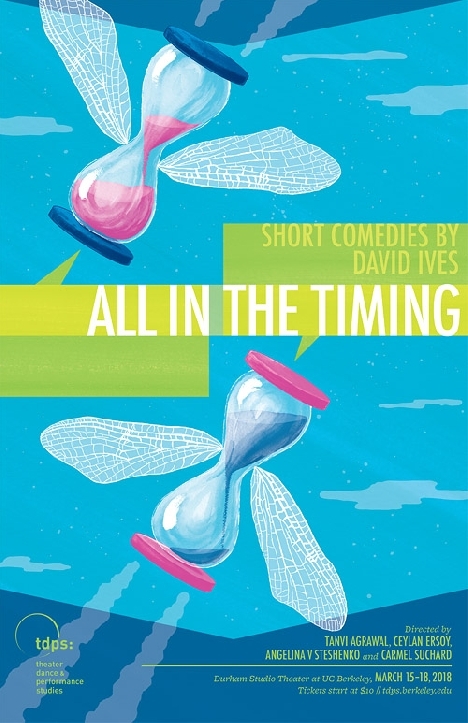 Join us for an evening of four one-act comedies drawn from the collection of award-winning playwright David Ives, and directed, designed and performed by TDPS students. Ivess offbeat sketches mix the witty and the wise-cracking, the surreal and the satiric, and the poetic and the perplexing. The show opens Thursday, March 15, 2018 and continues through Sunday, March 18, 2018 in the Durham Studio Theater on the UC Berkeley campus. Thursday, Friday & Saturday at 8pm; Saturday & Sunday at 2pm.